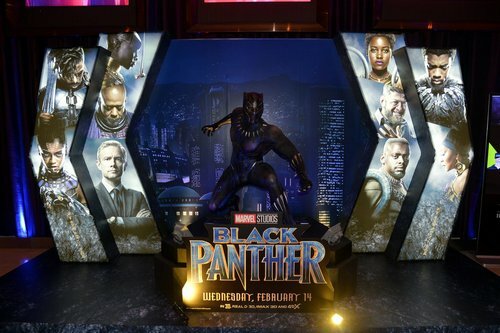 Marvel is not yet sure if it will oppose a cryptocurrency startup playing off the name of the fictional nation of Wakanda from the Black Panther film. The comic book giant’s subsidiary, Marvel Characters, filed for extensions with the U.S. Patent and Trademark Office to receive more time before deciding whether it will oppose the Wakanda Wine Fest and Wacoinda trademark submissions. Those trademarks were filed by a company called Wilsondom LLC, which wants to launch financial and educational services around cryptocurrencies, according to legal information website Justia. Specifically, the Wacoinda trademark, if approved, would be applied to financial education and economic empowerment initiatives aimed at the African-American community. The Wacoinda trademark was filed in February, but Marvel Characters’ request for an extension came just last week, public documents reveal. The company now has until November 14 to decide if it wishes to oppose the trademark. The extension does not necessarily mean that Marvel will oppose the trademark, however. Marvel Characters did not respond to a request for comment by press time. Wacoinda was not the first cryptocurrency-related project that Black Panther called to life: in June, African singer Akon announced the creation of the cryptocurrency Akoin and a plan to build a “real-life Wakanda.” As previously reported, the city is already being built on a 2,000-acre area of land gifted to the singer by the president of Senegal, Macky Sall.